Third son of Sir Richard Pole, Knight of the Garter, and Margaret, daughter of George, Duke of Clarence, brother of Edward IV. He had three brothers, Henry Pole, 1st Baron Montagu, Sir Geoffrey Pole, and Sir Arthur Pole; and one sister, Ursula. From the beginning of his reign Henry VIII recognized him as a near kinsman and showed him special favour, while in 1513 he created his widowed mother Countess of Salisbury, an act of tardy reparation for the attainder and execution under Henry VII of her only brother Edward, Earl of Warwick. She was also made governess to the Princess Mary in 1516 and we may assume that Pole's intimacy with the royal mistress whom he was afterwards to serve so devotedly began before he left England. The boy received his early education in the Charterhouse at Sheen, where he spent five years. He went to Oxford at the age of twelve or thirteen, and took his degree soon after he was fifteen. He was, it seems, intended for the Church, a choice to which he willingly assented, and though he had received no orders and was still hardly more than a lad, benefices were showered upon him, amongst others, a prebend bearing with it the title of dean in the collegiate church of Wimborne (15 Feb 1518). Throughout all his career Pole's attraction for a studious life was most pronounced. At his own wish and with the approval and pecuniary help of Henry VIII he set out in Feb 1521 for Padua, at that time a great centre of learning, and in the coterie of scholars which he found there the young kinsman of the King of England became a great favourite. Men like Longolius (de Longueil), who, dying shortly afterwards, left Pole his library, Leonicus, who taught him Greek, Bembo the humanist, and later Cardinal Contarini, also one day destined to adorn the Sacred College, and the English scholar Lupset, all sought his intimacy, while at a later period and under other circumstances he acquired the friendship and won the high esteem of Erasmus and More. All these were not only learned but large- minded men, and the mere fact of his choosing such associates would suffice to prove that Pole was not the bigot he has been sometimes represented. Pole remained in Italy until 1527. After a visit to Rome in 1526, and on his return he still pursued his studies, residing within the enclosure of the Carthusians at Sheen. Even at this date he had not yet received minor orders, but he was nevertheless elected Dean of Exeter (12 Aug 1527). Shortly after this the great matter of the king's divorce came to a head, and Pole, to avoid having to take sides in a complication in which conscience, friendship, and gratitude to his royal kinsman were inextricably entangled, obtained permission to continue his studies in Paris. But he did not thus escape from his embarrassment, for his aid was asked by the King to obtain from the university an opinion favourable to the divorce. When the young student pleaded inexperience, Fox was sent to assist him. The situation wa a delicate one and Pole probably did little to forward a cause so distasteful to his own feeling (the effective pressure, as we know, was really applied by Francois I), but he had the credit of managing the business and was thanked for his exertions (see Calendar, IV, 6252, 6483, 6505). None the less, Henry required his kindman to return to England, and when shortly afterwards Wolsey's disgrace was followed by his death, Pole was invited to succeed him as Archbishop of York, or to accept the See of Winchester. That this was merely a bribe to obtain Pole's support was not so obvious then as it must seem to us now in the light of subsequent developments. He hesitated and asked for a month to make up his mind. Finally he obtained an interview with the King and seems to have expressed his feelings on the divorce question so boldly that Henry in his fury laid his hand upon his dagger. To explain his position he subsequently submitted a memorial on the subject which, even according to the unfriendly testimony of Cranmer, was a masterly document (Strype, "Cranmer", Ap. 1), moderately and tactfully worded. "The King", so Pole pleaded–it was in the early part of 1531–"standeth even upon the brink of the water and he may yet save all his honour, but if he put forth his foot but one step forward, all his honour is drowned". The course of subsequent history fully justified Pole's prescience, and indeed for a moment the King seems to have wavered, but evil counsels urged him forward on the road to destruction. Still, as Pole had not made his opposition public, Henry was magnanimous enough at this stage to give him permission in Jan 1532, to withdraw to the continent, while continuing as before to pay his allowances out of the royal exchequer. Resuming, eventually, his peaceful life in Padua, Pole renewed or established an intimacy with the leaders in the world of letters, men like Sadolet (then Bishop of Carpentras), Contarini, and Ludovico Priuli. The two or three years which followed were probably the happiest he was fated ever to know. Upon his return to Padua, Pole slowly underwent a religious conversion, which left him with a heavily evangelical religion that rested on justification by faith. Meanwhile events were moving rapidly in England. The last strands which bound England to Rome had been severed by the King in 1534. The situation was desperate, but many seemed to think that it was in Pole's power to render aid. On the side of Princess Mary and her cousin Carlos V advances were made to him in Jun 1535, and after some demur he agreed to make an attempt at mediation. On the other hand, Henry seemed still to cling to the idea of gaining him over to support the divorce, and through the intermediary of Pole's chaplain, Starkey, who happened to be in England at the close of 1534, Pole had been pressed by the King to write his opinion on the lawfulness jure divino of marriage with a deceased brother's widow, and also upon the Divine institution of the papal supremacy. Pole reluctantly consented, and his reply after long delay eventually took the form of a treatise, "Pro ecclesiasticæ Unitatis defensione". It was most uncompromising in language and argument, and we cannot doubt that events in England, especially the tragedy of the execution of Fisher and More and of his friends the Carthusians, had convinced Pole that it was his duty before God to speak plainly, whatever the cost might be to himself and his family. The book, however, was not made public until a later date. It was at first sent off privately to the King (27 May 1536), and Henry on glancing through it at once dispatched the messenger, who had brought it, back to Pole, demanding his attendance in England to explain certain difficulties in what he had written. Pole, however, while using courteous and respectful language to the King, and craving his mother's pardon in another letter for the action he felt bound to take, decided to disobey the summons. At this juncture he was called to Rome by command of Paul III. To accept the papal invitation was clearly and before the eyes of all men to side with the Pope against the King, his benefactor. For a while Pole, who was by turns coaxed and threatened in letters from his mother and relatives in England, seems to have been in doubt as to where his duty lay. But his advisers, men like Ghiberti, Bishop of Verona, and Caraffa, the founder of the Theatines, afterwards Paul IV, urged that God must be obeyed rather than man. So the papal invitation was accepted, and by the middle of Nov 1536, Pole, though still without orders of any kind, found himself lodged in the Vatican. The summons of Paul III had reference to the commission which he had convened under the presidency of Contarini to draw up a scheme for the internal reform of the Church. The Pope wished Pole to take part in this commission, and shortly afterwards announced his intention of making him a Cardinal. To this proposal Pole, influenced in part by the thought of the sinister construction likely to be put upon his conduct in England, made an energetic and, undoubtedly, sincere resistance, but his objections were overborne and, after receiving the tonsure, he was raised to the purple along with Sadolet, Caraffa, and nine others on 22 Dec 1536. As a Cardinal, one of Pole's most significant contributions was serving on the commission that in 1537 produced the Consilium de emendanda ecclesiae (Legal Opinion of the Reform of the Church). This document written at the request of Pope Paul III offered suggestions from many of the most reform-minded cardinals of the day concerning the reform of the papacy.The commission must have finished its sittings by the middle of Feb (Pastor, "Geschichte der Päpste", V, 118). In 1537, Pole also undertook his first legation to aid the Pilgrimage of Grace against Henry. Then in 1539 Pole led another legation to establish peace between the Emperor Carlos V and Francois I. Both legations were unsuccessful, but served to establish a reputation of peace-making for Pole. Pole was despatched upon a mission to the north on 18 Feb, with the title of legate, as it was hoped that the rising known as the Pilgrimage of Grace might have created a favourable opportunity for intervention in England. But the rivalry between Carlos V and Francois I robbed Pole's mission of any little prospect of success. He met in fact with rebuffs from both French and Spaniards, and eventually had to take refuge with the Cardinal Bishop of Liège. After being recalled to Rome, he was present in the spring of 1538 at the meeting between Carlos V and Francois I at Nice. Meanwhile Pole's brothers, Lord Montagu and Sir Geoffrey, had been arrested in England, and there was good reason to believe that his own life was in danger even in Venetian territory from Henry's hired assassins (cf. Pastor, op. cit., V, 685). Pole then set himself with the pope's approval to organize a European league against Henry. He met Carlos at Toledo in Feb 1539, but he was politely excluded from French territory, and after learning the sad news of his mother's martyrdom, he was recalled to Rome, where he was appointed legate to govern from Viterbo the district known as the Patrimony of St. Peter. While in Viterbo he strengthened his ties with the spirituali, most notably Marcantonio Flaminio. Flaminio was one of the authors of Il Beneficio di Christo (The Benefit of Christ's Death, 1543), one of the most important texts of the Italian Reformation. During this time, Pole also associated closely with the poet Vittoria Colonna and Michelangelo. His rule was conspicuously mild, and when two Englishmen were arrested, who confessed that they had been sent to assassinate him, he remitted the death penalty and was content to send them for a very short term to the galleys. In 1542 Pole was one of the three legates appointed to preside over the opening of the Council of Trent. Owing to unforeseen delays the Fathers did not actually assemble until Dec 1545, and the English Cardinal spent the interval in writing the treatise "De Concilio". At the second session of the Council, 7 Jan 1546, the impressive "Admonitio Legatorum ad Patres Concilii" (see Ehses, "Conc. Trid. ", IV, 548- 53) was drafted by Pole. For reasons of health he was compelled to leave Trent on 28 Jun, but there seems to be good evidence that his malady was real enough, and not feigned, as some have pretended, on account of the divergence of his views from those of the majority upon the question of justification (Pastor, op. cit., V, 578, note 3). None the less before the Diet of Ratisbon he undoubtedly had shared certain opinions of his friend Contarini in this matter which were afterwards reprobated by the Council (ibid., V, 335-37). But at that period (1541) the Council had not spoken, and Pole's submission to dogmatic authority was throughout his life absolute and entire. It is possible that an exaggerated idea of those errors produced at a later date that bias in the mind of Caraffa (Paul IV) which led him so violently to suspect Pole as well as Morone (q.v.) of heretical opinions. On the death of Henry VIII Pole with the approval of Paul III made persistent efforts to induce the Protector Somerset and the Privy Council to treat with the Holy See, but, while these overtures were received with a certain amount of civility, no encouragement was given to them. 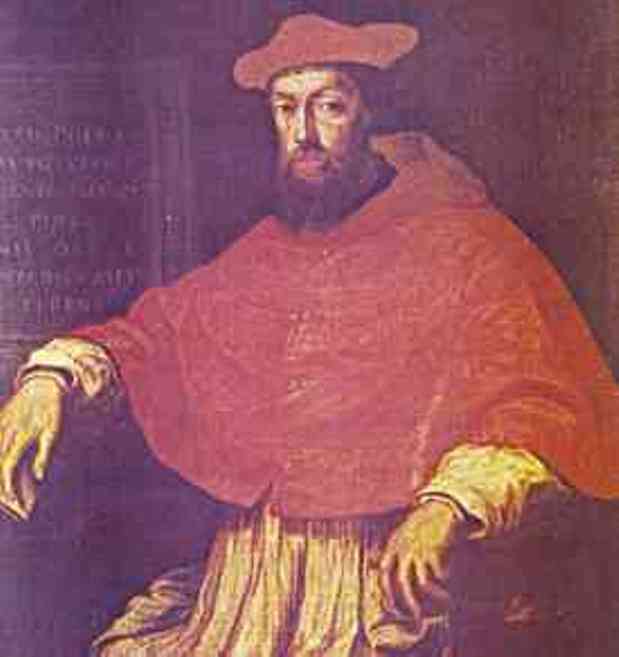 Paul III died 10 Nov 1549, and in the conclave which followed, the English cardinal was long regarded as the favourite candidate. Indeed it seems that if on a particular occasion Pole had been willing to present himself to the cardinals, when he had nearly two-thirds of the votes, he might have been made Pope "by adoration". During the conclave, Pole refused to campaign, choosing rather to spend his time writing four or five versions of a dialogue, De Summo pontifice (published 1569). This dialogue maintained that the only acceptable candidate for the pontificate would not want the office. Due in part to his own refusal to campaign and in part to a scathing condemnation issued by Gianpietro Carafa (who would later become pope Paul IV), the closest Pole would ever get to the pontificate was one vote short. Later the majority in his favour began to decline, and he willingly agreed to a compromise which resulted in the election of Cardinal Giovanni Maria Ciocchi del Monte (Julius III). The new Pope treated Pole as one of the principal cardinals and protected him from investigation by the Inquisition, which had become interested in his doctrinal beliefs. The death of Edward VI, 6 Jul 1553, once more restored Pole to a very active life. Though the Cardinal was absent from Rome, Julius III at once appointed him legate in England, and Pole wrote to the Queen to ask her advice as to his future procedure. Both Mary's advisers in England and the Emperor Carlos V, who was from the first anxious to marry the new Queen to his son Felipe, considered that the country was not yet ready for the reception of a papal legate. Julius, by way of covering the credit of his envoy in the delays that might possibly ensue, entrusted Pole with a further commission to establish friendly relations between the Emperor Carlos and Henry II of France. Pole's favorable political standing in England and his friendship with Mary made him an ideal candidate for a legation to England. Consequently Julius gave Pole two separate legations, one for the reconciliation of England and one for peace between the major European rulers. For these legations, Julius gave Pole exceptionally wide faculties, amounting to powers that were nearly on par with the pope's. All this brought the Cardinal a good many rebuffs, though he was courteously received in Paris. Carlos V, however, deliberately set himself to detain Pole on the continent until the marriage between Mary and Felipe had been concluded. Eventually Pole was not allowed to reach Dover before 20 Nov 1554, provision having previously been made that holders of church property should not be compelled to restore the lands that they had alienated. A great reception was given to the legate upon his arrival in London, and on 30 Nov, Pole, though not even yet a priest, formally absolved the two Houses of Parliament from the guilt of schism. Owing to Pole's royal descent and his friendship with the Queen, he exercised a considerable indirect influence over affairs of state and received a special charge from Felipe to watch over the kingdom during his absence. On the other hand, the Cardinal does not seem to have been at all anxious to add to his responsibilities, and when Archbishop Cranmer was deprived, he showed no great eagerness to succeed him in his functions as Archbishop. Still a synod of both convocations was held by him as legate in Nov 1555, which passed many useful decrees of ecclesiastical reform, rendered necessary by the disturbed condition of the Church after twenty years of separation from Roman authority. On 20 Mar 1557, Pole was ordained priest, and two days after he was consecrated Archbishop, while he solemnly received the pallium on the feast of the Annunciation in the Church of St. Mary-le-Bow, delivering an address which is still preserved. With the persecutions which have cast so regrettable a shadow over Mary's reign Pole seems to have had little to do (Dixon, "Hist. of the Ch. of Eng. ", IV, 572). "Three condemned heretics from Edmund Bonner's diocese were pardoned on an appeal to him; he merely enjoined a penance and gave them absolution" (ibid., 582). Pole's position of privilege came to an end on 9 Apr 1557 when his old nemesis, Carafa, now Paul IV, withdrew all his legatine powers. Paul recalled Pole to Rome to face charges of heresy, mainly concerning Pole's views on justification. Pole resisted this summons and sent Paul a strongly worded Apologia, but his standing in England would never be the same. The Cardinal was now somewhat infirm, and his last days, like those of his royal mistress, were much saddened by fresh misunderstandings with Rome, due mainly to the impetuous temper and bitter anti-Spanish feeling of Paul IV. As a Neapolitan, Paul was bent upon driving the Spaniards out of Naples, and war broke out in Italy between the Pope and King Felipe. The Pope made an alliance with France, and Felipe set deliberately to work to implicate England in the quarrel, whereupon Paul withdrew his legates from the Spanish dominions and cancelled the legation of Pole. Although the tension of this state of affairs was in some measure remedied by concessions on the part of the Pope, which were wrung from him by the success of Felipe's arms, the cloud had by no means completely lifted, aggravated as it was by the pope's perverse conviction of Pole's doctrinal unsoundness, when the Cardinal, on 17 Nov 1558, contracted a mortal sickness and died a few hours after Queen Mary herself. Pole was buried in Becket's Corona in Canterbury Cathedral. Throughout his life Pole's moral conduct was above reproach, his sincere piety and ascetical habits were the admiration of all. "Seldom", writes Dr. James Gairdner, than whom no one is more competent to pronounce judgment, "has any life been animated by a more single-minded purpose". As compared with the majority of his contemporaries, Pole was conspicuously gentle, both in his opinions and in his language. He had the gift of inspiring warm friendships and he was most generous and charitable in the administration of his revenues. An early life of Pole was written by his secretary Beccatelli. It may be found printed in QUIRINI'S great collection, Epistola Reginaldi Poli et aliorum ad se (5 vols., Brescia, 1744-57); upon these materials was founded the History of the Life of Reginald Pole by PHILIPPS (Oxford, 1764), which still retains its value. A more modern biography is that of "MARTIN HAILE" (Miss Mary Hallé), The Life of Reginald Pole (London, 1910); compare also ZIMMERMANN, Caridnal Pole (Freiburg, 1893); ANTONY, The Angelical Cardinal (London, 1909); LEE, Reginald Pole (London, 1888); an admirable account of Pole by GAIRDNER is given in Dict. Nat. Biog. ; on the other hand the Life of Pole in HOOK'S Archbishops of Canterbury (London, 1860-84) is disfigured by conspicuous anti-Catholic animus. Much useful supplementary information is furnished by the Monumenta Concilii Tridentini, vols. I and IV (Freiburg, 1901-04), and in PASTOR, Geschichte der Päpste (Freiburg, 1908-10), IV, V. See also "The Tablet", 28 Aug., 1909, p. 340. The edition of the letters published by QUIRINI is far from complete, and many still remain in MS.
Ludovico Beccadelli, "Vita di Reginaldo Polo" (circa 1561), in Monumenti di varia letteratura, volume 2, edited by G.B. Morandi (Bologna: Istituto per le scienze, 1797-1804), pp 277-333; translated by Benjamin Pye as The Life of Cardinal Reginald Pole, Written Originally in Italian by Ludovico Beccadelli (London: Bathurst, 1766). Thomas Phillips, The History of the Life of Reginald Pole (Oxford: William Jackson, 1764). Edward Stone, Remarks upon the History of the Life of Reginald Pole (Oxford: W. Jackson 1766). Gloucester Ridley, A Review of Mr. Phillips' History of the life of Reginald Pole (London: J. Whiston, 1766). Timothy Neve, Animadversions upon Mr. Phillips' History of the life of Cardinal Reginald Pole (Oxford: Clarendon, 1766). Walter Farquhar Hook, Lives of the Archbishops of Canterbury, volume 8 (London: R. Bentley, 1869). F.G. Lee, Reginald Pole, Cardinal Archbishop of Canterbury (London: John C. Nimmo, 1888). Athanasius Zimmerman, Kardinal Pole, sein Leben und seine Schriften. Ein Beitrag zur Kirchengeschichte des 16. Jahrhundrets (Regensburg: F. Pustet, 1893). Marie Hallé (as Martin Haile), The Life of Reginald Pole (London: Pitman & Sons, 1911). Reginald Biron and Jean Barennes, Un prince anglais cardinal légat au XVI siècle, Reginald Pole (Paris: Arthur Savaète, 1922). 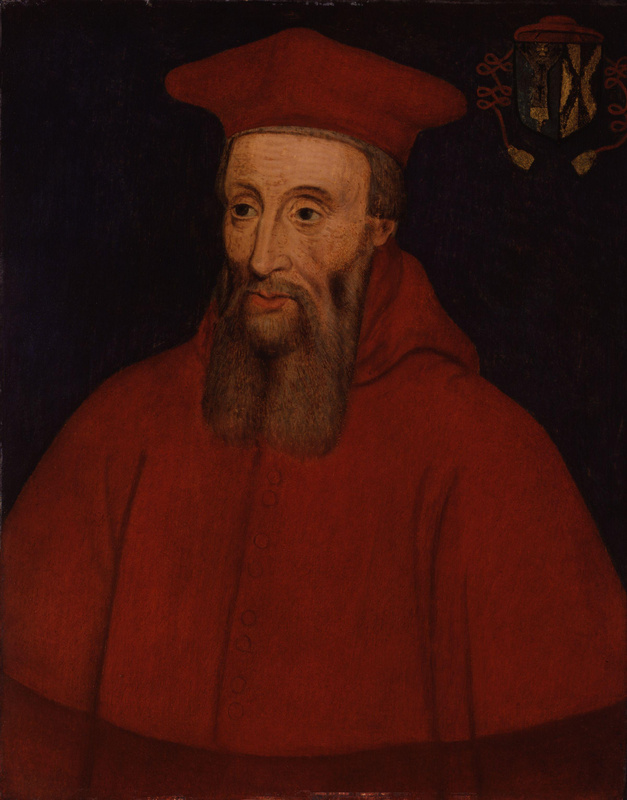 Wilhelm Schenk, Reginald Pole, Cardinal of England (London: Longman, 1950). Maria Teresa Dainotti, La via media: Reginald Pole, 1500-1558 (Bologna: EMI 1987). Thomas F. Mayer, A Reluctant Author: Cardinal Pole and his Manuscripts, Transactions of the American Philosophical Society, 89:4 (1999). Thomas F. Mayer, Cardinal Pole in European context: a via media in the reformation (Ashgate Publishing, 2000). Thomas F. Mayer, Reginald Pole, Prince and Prophet. (Cambridge University Press, 2000).